Home » Used Furniture Information » Old Used Furniture, What To Do with Them? Like many city folks around the world, Singaporeans live a fast paced consumer lifestyle, we’re always buying new things, and throwing out the old. A significant portion of items we discard include old used furniture – these furniture might have been around for awhile, they’re usually a little bit worn, they have of signs wear and tear, and they might be in need of a little repair. To our credit, most people like you and me start by asking if we might be able to sell the furniture for some money. If we’re not able to do that, we’d think about donating the furniture. If the furniture’s too worn out, the non-profit organisation might not accept it. Hence, the third and last option would often be to dispose of the furniture. But what if there was actually another option before furniture disposal? This option that we’re talking about is to salvage your furniture. By our last count, there are easily more than a dozen businesses in Singapore providing repair and restoration services for your furniture. The majority of these businesses are small mom and pop shops, a number of them are not even listed on the internet! 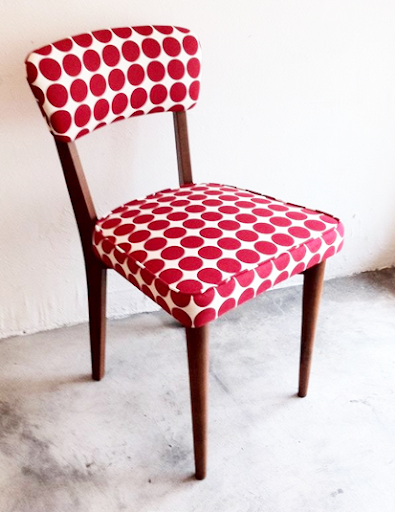 Before throwing out your old furniture, consider the possibility of restoring them. It might take a little more time and effort, as opposed to disposing and replacing them with new furniture, but this option brings about its own benefits as well. Assess your furniture, which parts of it are not working? Can those parts be repaired, and how much would it cost to repair them? For example, if you’ve an office chair with a loose wheel, it’s definitely more cost efficient to replace the wheel, versus getting a brand new office chair. When restoring your old furniture, you’ve an opportunity to turn it into a totally unique item. If you’re reupholstering your sofa, chairs, and seats, you can incorporate patterns and aesthetics not usually found on your model or type of furniture, the contrast between old and new can produce really eye catching results. This is perhaps the most intangible benefit, it is also perhaps why many people don’t bother thinking twice before throwing things away, not just furniture. We’re not encouraging you to hoard your items, but if your furniture can be salvage with a little repair and restoration, why not cast a vote of support for mother nature? Sure, you won’t receive any invitations to join the Planeteers, but your small steps toward conservation – starts here.